Shepparton’s Jean-Michel Batakane is a multi-talented young artist who has viewed the world through many different lenses. As a young photographer and filmmaker with a diploma in film and television from Kenya, Batakane fled to the Kakuma Refugee Camp in Kenya in 2011 alongside thousands of other refugees and unaccompanied minors. Noticing there was little opportunity for young people living at Kakuma, Batakane started up a not-for-profit organisation—Season of the Time Media Productions—to give other young people a chance to learn new skills and be part of something positive. Over several years at the camp, hundreds of young people participated in programs with Batakane, making music videos and short educational films that shared their stories of hardship. 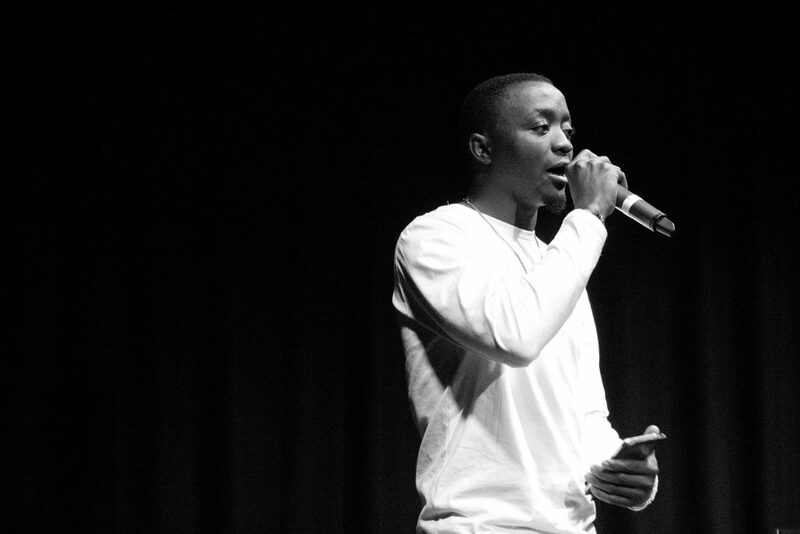 Since relocating to Shepparton, Victoria in 2015, Batakane has continued his programs at the camp from a distance, while also keeping busy with studies in graphic design at TAFE, working as a freelance photographer, film maker, actor and MC and producing and presenting a regular African program on OneFM community radio station in Shepparton.